The Atom 3 Pendant Lamp brings a whimsy and elegant mid century aesthetic into any interior and perfect for adding popular visual interest. 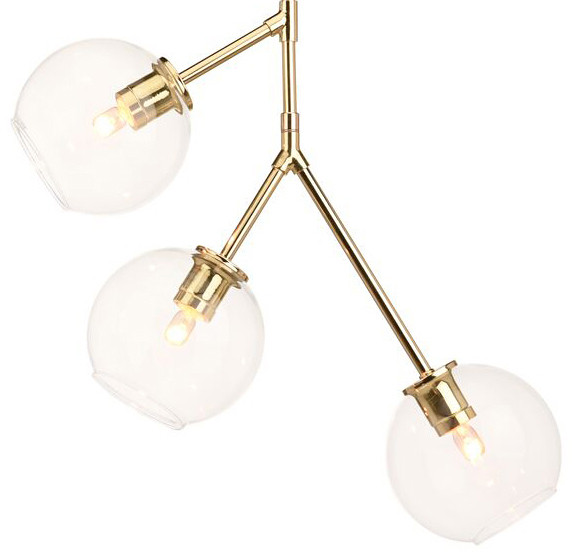 This retro style pendant lamp is constructed using metal rods with glass orb lampshades and uses 3 E12 base, Max 40W bulbs, not included. 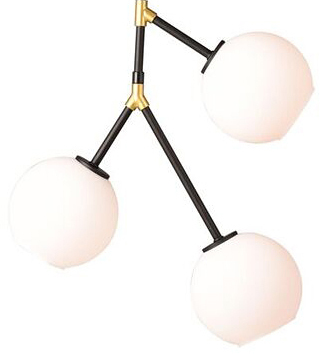 Atom 3 hangs elegantly from a round canopy made of iron and metal and is available in Polished Gold with Clear Shades and Matte Black With White Shades.